Sign reads: "Unauthorized vehicles parked in designated accessible spaces not displaying distinguishing placards or license plates issued or persons with disabilities may be towed away at vehicle owners expense. 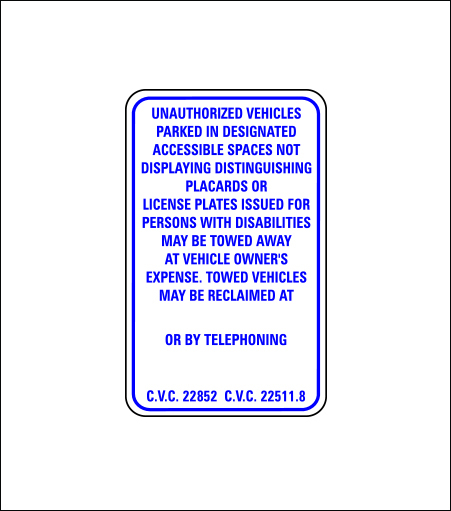 Towed Vehicles may be reclaimed at or by telephoning... c.v.c."